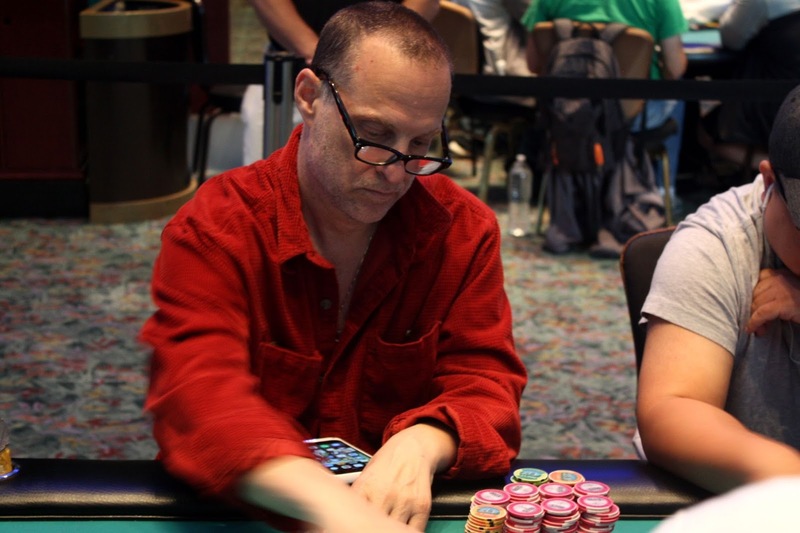 Action folded to Mitch Garshofsky in the small blind, and he moved all in. Samuel Taylor called from the big blind with [Qd][Jc], and he was up against Mitch's [As][6h]. The [9d][Kh][Th] flop gave Samuel the nuts, and Mitch would need runner runner to survive. 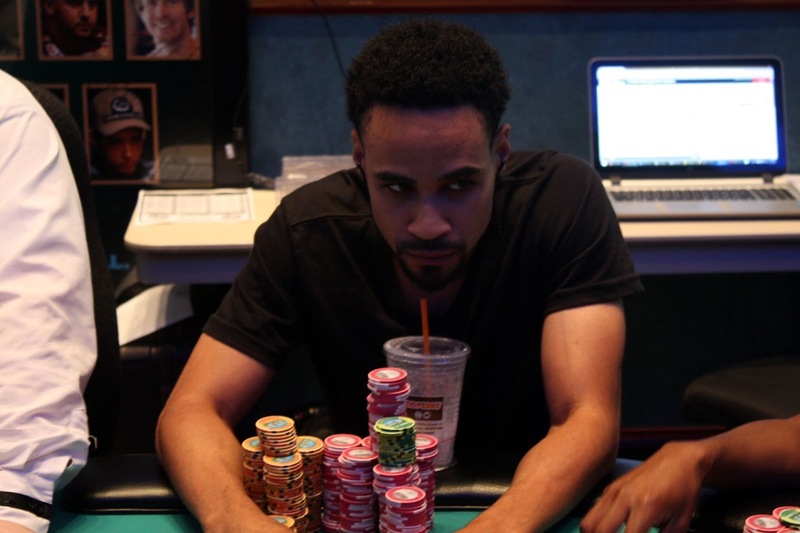 The [8c] turn and [6d] river came and Match is eliminated in 3rd place for $67,232. 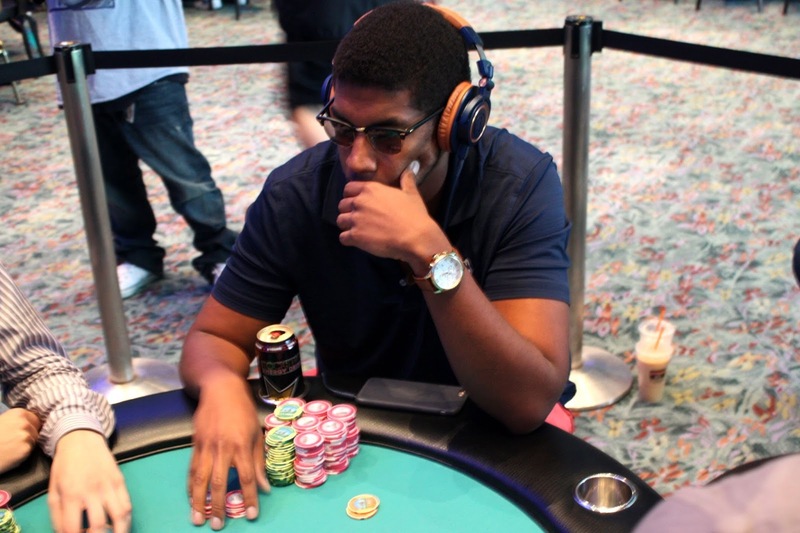 Brandon Miller was all in preflop holding [Kh][2c] and was up against the [As][7c] of Joseph Johanssy. The [7s][8s][4s] flop took away two of Brandon's outs, and the [3s] on the turn meant he was drawing dead. The meaningles [Qh] hit the river to eliminate Brandon in 4th place from Event #10 $1,675 Main Event. He will collect $49,904 for his efforts. With 11 players left, a player was eliminated from each table, getting Event #12 $365 NLH Turbo down to the official final table. The final nine will take a one hour dinner break and then will resume play until a winner is determined. We will have chip counts and seating assignments when the players return. On the last hand before dinner break, Soukha Kachittavong was all in preflop holding ace jack and was up against Joseph Johanssy's king trey. 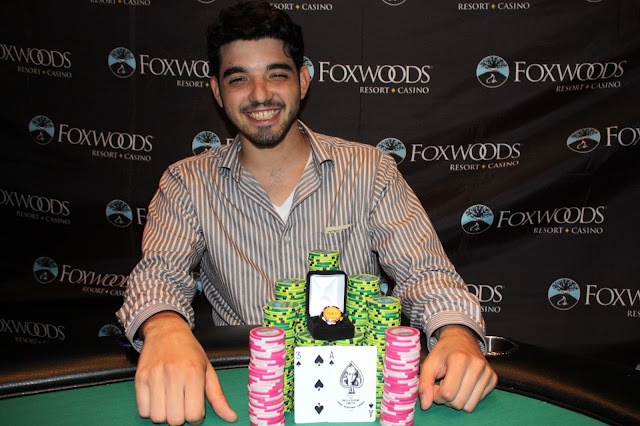 Joseph flopped two pair, and it held to send Soukha to the rail in 5th place, good for $37,428. With 20 players remaining, play had not gone hand-for-hand, yet. A player had busted, and the announcement was made that dealers should hold up. On each of the other two tables, a player busted on the same hand, leaving Event #12 $365 NLH Turbo in the money. The three players will split the 18th place payout, and play will continue after a redraw. Jeremy Meacham has been eliminated when his pocket deuces failed to win a race against Soukha Kachittavong's ace jack. Jeremy will take 6th place in Event #10 $1,675 Main Event for $28,556. The board read [9s][5h][Td][9d] and James Karos moved all in holding [Kc][7h]. Gary Lucci made the call with [Ks][9c] and had James drawing dead as he had turned trip sevens. The meaningless [8c] hit the river, and James was eliminated in 2nd place for $8,311. 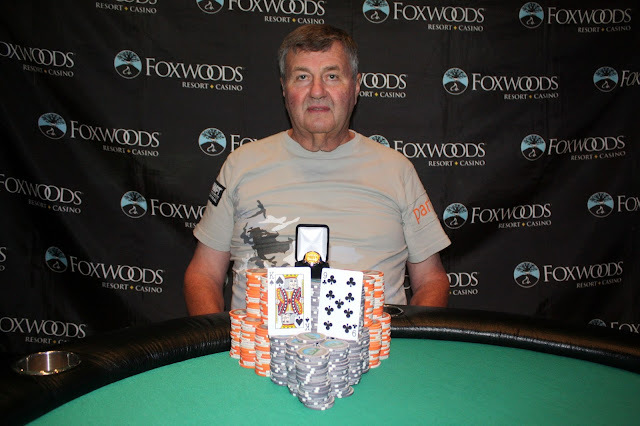 Gary Lucci has won Event #11 $365 NLH. 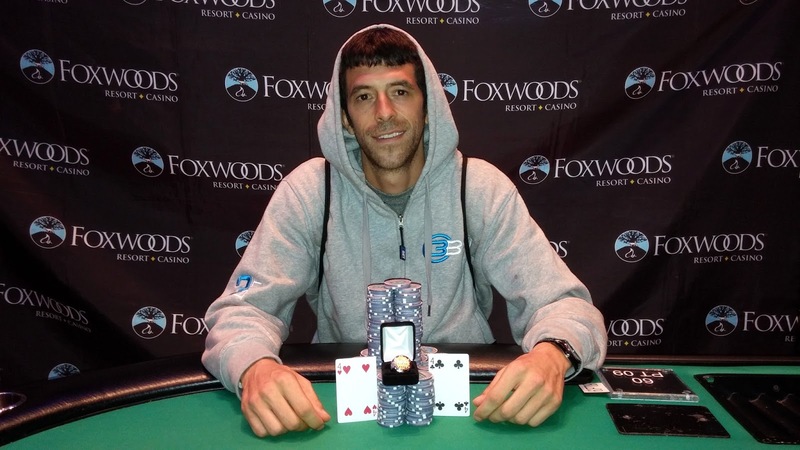 He will take home $13,478 along with his first World Series of Poker Circuit ring. Congratulations, Gary. Michael Merriam was all in preflop holding king-six and was up against the ace-eight of James Karos. Michael was unable to pair either of his hole cards, and he will exit Event #11 $365 NLH in 3rd place. Michael will collect $5,995 for his efforts. 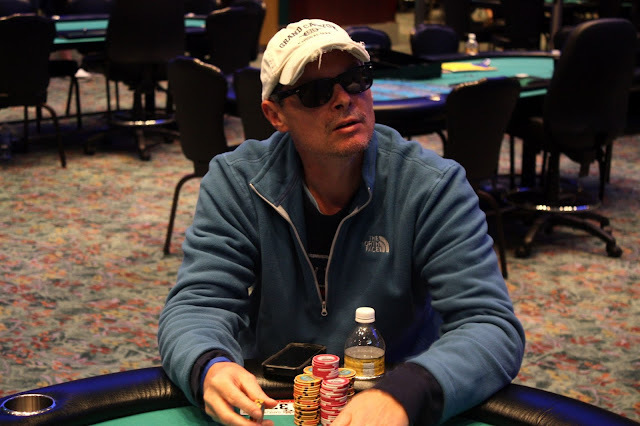 At 6,000/12,000 blinds, James Karos raised to 40,000 before Carl Fenske moved all in. Action folded back to James who thought for awhile before calling for most of his chips. It was a good call as he had pocket jacks against Carl's pocket sixes. A six in the window brought a big reaction, but there was a jack right behind it to give both players sets. Carl would need the last six in the deck to survive, but it did not come. 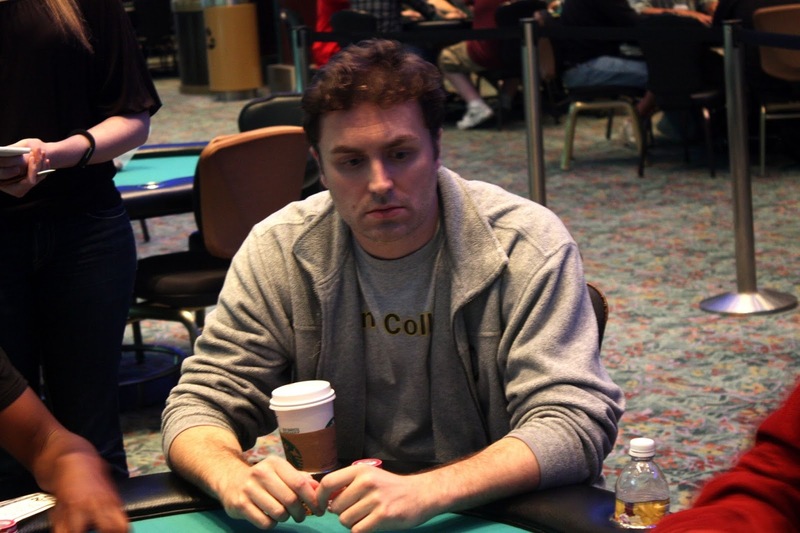 Carl will exit Event #11 $365 NLH in 4th place, good for $4,392. Matt Buonomo was all in preflop holding [Js][Ts] and was in really bad shape against Soukha Kachittavong's [Jd][Jc]. The [2d][5c][Qh] flop was no help for Matt, but the [Td] opened up two outs for him. 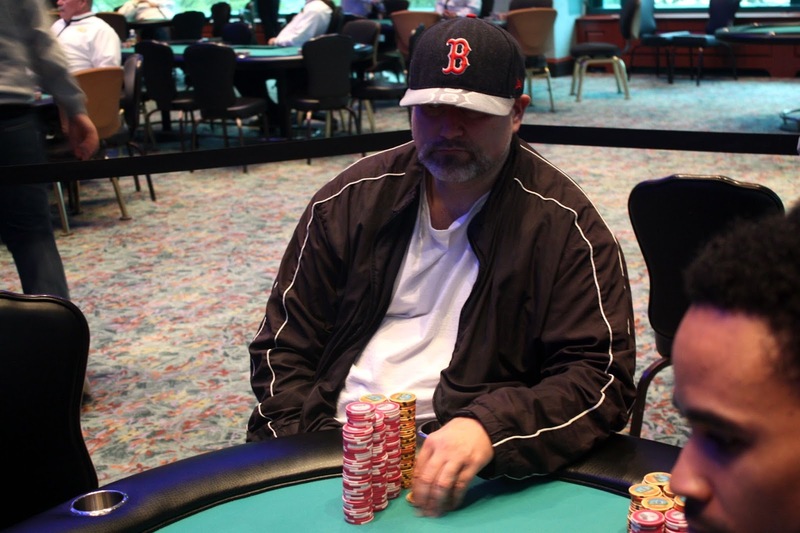 The [9h] river just missed him, eliminated Matt in 7th place for $22,180. Chris Tryba was all in preflop holding [as][qh] and was up against the [ah][ks] of Brandon Miller. Chris could not find a queen on the [ad][ac][2d][5c][6s] board, and he will exit Event #10 $1,675 Main Event in 8th place, collecting $17,328 for his efforts. Joseph Tieri was all in preflop holding [Qh][Qc] and was up against the [As][Ks] of Soukha Kachittavong. 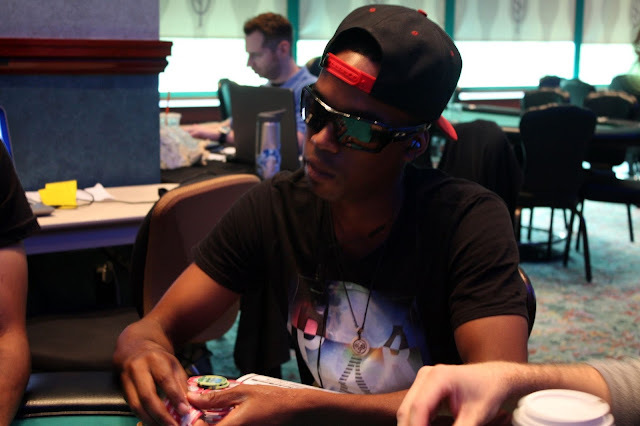 The board ran out [8s][3c][Th][7h][Ad], and Soukha will river a pair of aces to eliminate Joseph in 9th place. He will earn $13,881 for his efforts. 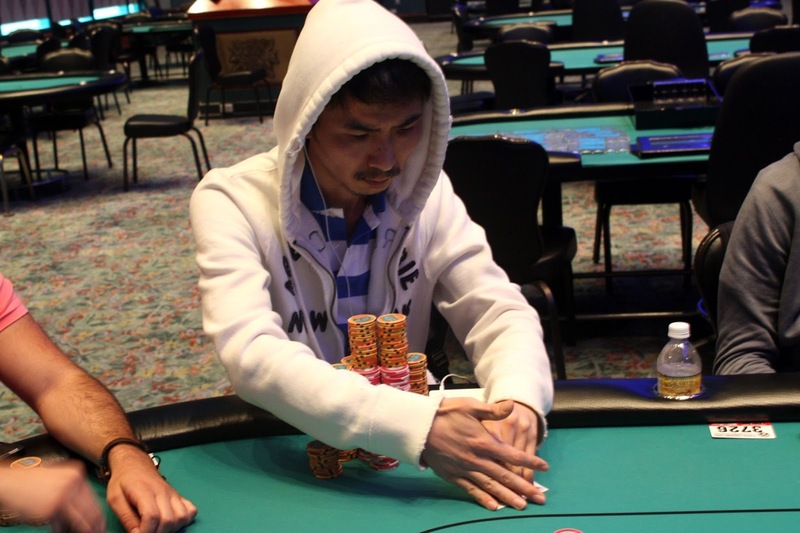 On one of the first hands of the final table, Je Wook Oh moved all in for roughly 160,000 after Joseph Johanssy opened the pot. Joseph made the call, and Je Wook's [As][Kh] would need to dodge Joseph's [Jc][Tc]. The [8c][Js][9h] flop put Joseph way in front with top pair and a flush draw, and Je Wook was out of his chair by the time the [8d] hit the turn. 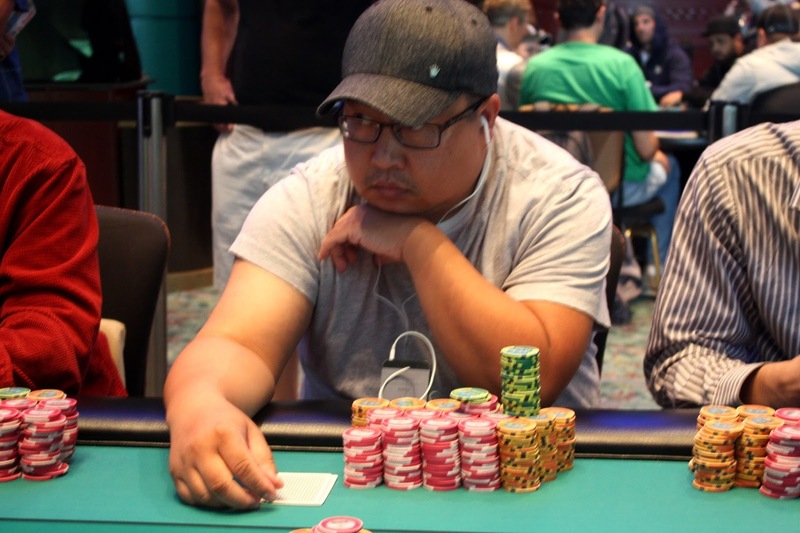 The [7c] gave Joseph a straight to eliminate his opponent, and Je Wook Oh will exit Event #10 $1,675 Main Event in 10th place, good for $11,159. Players start with 10,000 in non-value tournament chips. Registration will remain open until the start of level 9 (approximately 2:10pm). Levels will be 20 minutes. There is a dinner break after Level 21 (approximately 6:40pm). Levels will be 60 minutes. Registration will remain open until the start of level 9 (approximately 3:20pm). Levels will be 50 minutes. There is a dinner break after Level 27 (approximately 6:20pm).